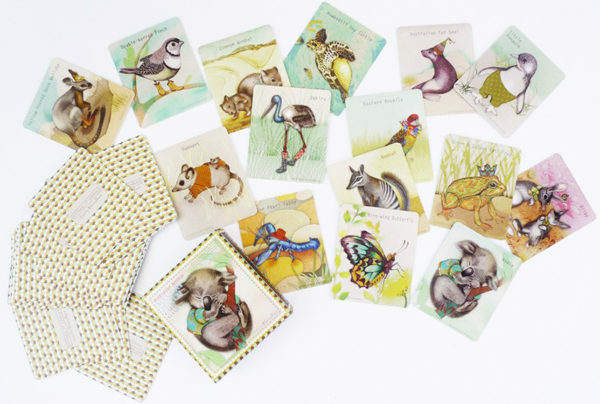 Bring a touch of Australiana to the play room with this stunning set of Australian animal themed memory cards. Kids love to play memory games and this Memory Card game will see them race towards collecting 15 pairs of koalas, bilbies and wombats along with a whole menagerie of other Aussie animals, including some of which you may have never heard of – Richmond Birdwing Butterfly anyone? Printed in glorious colours on sturdy cards and stored in a protective box, there’s plenty of memory play for kids (and kids at heart) to be had. Australian Animals Memory Card game, $14.95, is available from Millions of Monkeys.